The main shopping area in Budapest is less than a 5 minute walk away with great shops, restaurants and bars. The location was so close to many of the must see attractions in Budapest. 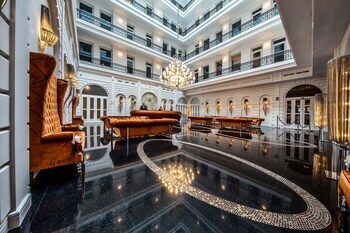 This hotel is in an absolutely perfect location for our 3 night visit to Budapest. 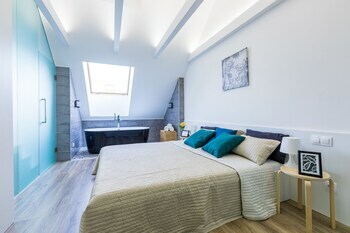 K9 residence was an good choice for where to stay in Budapest. walking distance to all the things you want to see in Budapest. Great inner City location. Clean, well appointed, recently renovated, modetn room. Good free breakfast. A window that opens. 24 hour bar and room service. The room is small with nowhere to hang clothes. There is no fan in the bathroom. The service and friendliness of the staff. Room was clean and comfortable. Where to find Budapest hotels near an airport? How can I find hotels in different Budapest neighborhoods? Where can I find hotels in Budapest that are near tourist attractions? Hotel and apartment options are in generous supply in Budapest. Expedia's extensive database has 356 hotel options within a 0.1-kilometre (0.06-mile) distance of central Budapest. 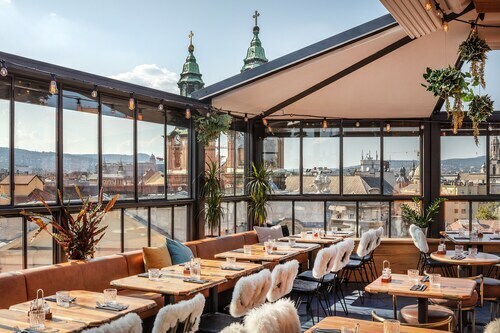 Convenience is everything when it comes to traveling, so be sure to check out the Four Seasons Gresham Palace and Budapest Marriott Hotel, which you'll find a short distance of Budapest's city center. A very good neighborhood to stay in is Andrassy. Andrassy is 2 kilometres (1 mile) from the center of Budapest and is home to 40 Expedia-recommended places to stay. 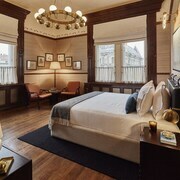 In Andrassy, the K&K Hotel Opera Budapest and Mamaison Residence Izabella Budapest are among the options. Another popular hotel district is Danube River which is around 0.6 kilometres (0.4 miles) from downtown. The InterContinental Budapest and Sofitel Budapest Chain Bridge are some of the 38 accommodation options in Danube River. Another option is to find an establishment in Szentendre, which is where you'll find the Hotel Panzió 100 and Hotel Róz, or Budakeszi, which has the Keszi Panzió and Margaréta Panzió. Visegrad is 30 kilometres (19 miles) from Budapest's downtown, while Vecses is 19 kilometres (12 miles) from downtown Budapest. The Silvanus and Thermal Hotel Visegrad are located in Visegrad, while Budapest Airport Hotel Stáció Wellness & Conference and Airport Hotel Budapest are situated in Vecses. The Boscolo Budapest, Autograph Collection and the Buddha-Bar Hotel Budapest Klotild Palace are located very near Parliament Building. 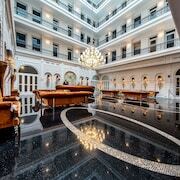 The St. George Residence All Suite Hotel Deluxe and the The Ritz-Carlton, Budapest are near Rudas Baths. The Hungarian National Museum, another important Budapest attraction, is not far from the Kempinski Hotel Corvinus Budapest and the Iberostar Grand Hotel Budapest. Hotels within walking distance of the Vajdahunyad Castle include the Corinthia Hotel Budapest and the Trendy Deluxe Apartments. 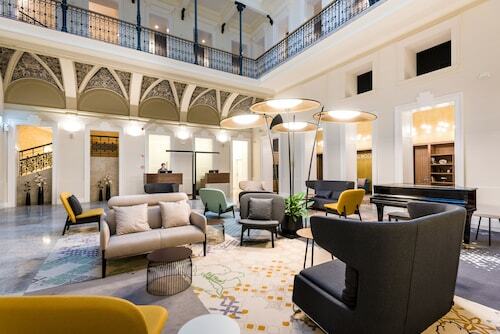 Students, families and shoe-string travelers can choose from nice Budapest hotel and apartment options that definitely won't that won't make the bank manager's jaw drop. 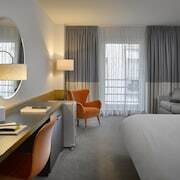 The Park Inn by Radisson Budapest is 7 kilometres (4 miles) from the heart of Budapest, while the Hotel Belvedere Budapest is 3 kilometres (2 miles) away. 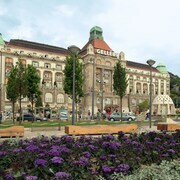 Two other options in the cheaper range of Budapest accommodations include the Star Inn Hotel Budapest Centrum, by Comfort and the Opera Residence. 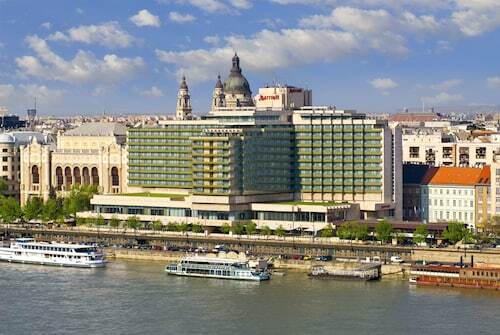 2 kilometres (1 mile) from the heart of Budapest, is the Hilton Budapest. The Marriott Executive Apartments Millennium Court is positioned 0.3 kilometres (0.2 miles) away. More alternatives in the Budapest area include the Aquaworld Resort Budapest and the Hilton Budapest City. Ferencvaros is 3 kilometres (2 miles) to the southeast of Budapest and is where you'll find Holocaust Memorial Center and Zwack Unicum Museum & Visitor Center. 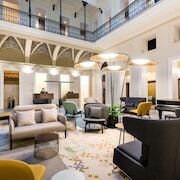 Expedia-listed Ferencvaros accommodation options include the Boutique Hotel Victoria Budapest and Butterfly Home. 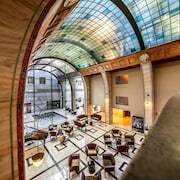 2 kilometres (1 mile) to the northeast of Budapest, you'll find Terezvaros, home to the Golden Stars DREAM Budapest Apartment and Courtyard by Marriott Budapest City Center. If you're staying in Terezvaros, set aside a little time to check out the Zoltán Kodály Memorial Museum and Archives and House of Terror. Ferenc Liszt International Airport is located 17 kilometres (11 miles) away from Budapest. Should you wish to stay nearby, you can easily book a room via Expedia at the Hotel Ferihegy or the Sarokház Panzió. What are the most popular Budapest hotels? Are there hotels in other cities near Budapest? What other types of accommodations are available in Budapest? Explore Budapest with Expedia.ca’s Travel Guides to find the best flights, cars, holiday packages and more! Flights from Vancouver Intl. to Hopkins Intl.